Home>Music> Sheck Wes Denies Justine Skye's Allegations: "I Never Hit Or Beat Any Women"
Last year was a big one for Sheck Wes. The man went from nothing to a well-known artist all from the power of one song. "Mo Bamba" was enough to get Sheck signed to Travis Scott's imprint, opening up on his ultra-successful Astroworld tour. 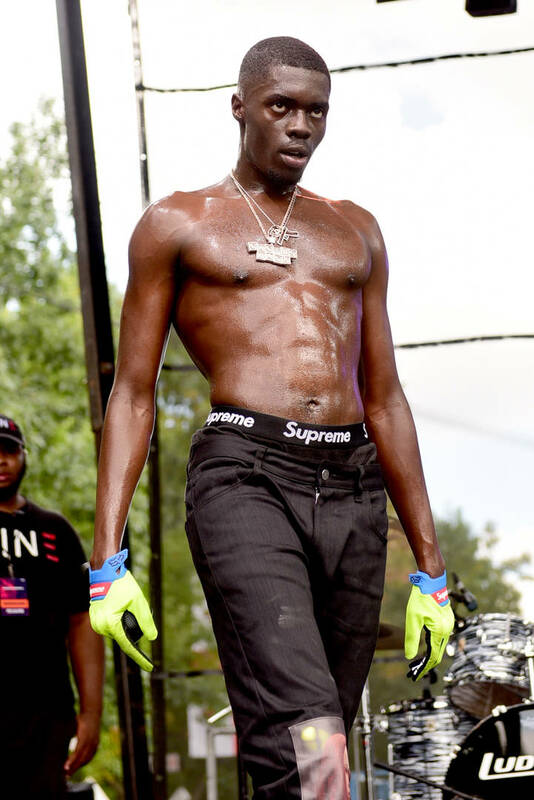 As the owner of one of the most popular songs in America, Sheck Wes received a lot of attention and not all of it was positive. When it comes to his personal life, there have been troubling accusations made against him by his ex-girlfriend Justine Skye and yesterday, they escalated when she confirmed that her abuser is none other than Sheck Wes. Until today, the rapper has been silent on the allegations made against him. He spoke out on Twitter after Skye accused him of stalking her, her friends, and her boyfriend GoldLink. She also said that he has beaten her in the past, as well as his other exes. Sheck issued a statement, reading: "I’ve chosen to remain silent until now out of respect for actual victims of abuse. But I cannot stand by while lies are repeatedly told about me. I never hit or beat any women and I did not beat up or jump anybody." Justine Skye has responded to Sheck's claims, saying that she "literally" has footage of him jumping her fence to attack her. She shared some private text messages, writing that his lies on the matter are what she finds the most disrespectful. MUSIC Sheck Wes Denies Justine Skye's Allegations: "I Never Hit Or Beat Any Women"